Gas turbine in oil and gas used for gas plant and power plant facilities, both of plant are critical plant to append activity of production and delivery system of oil and gas. Reliability and deliverability is more important factor to provide effectiveness system after all. 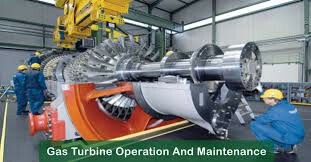 Familiar with product of gas turbine which is used in the gas plant. a. Compressor section : Inlet guide vane, Rotor compressor,Stator Compressor,Bleed Valve and control.